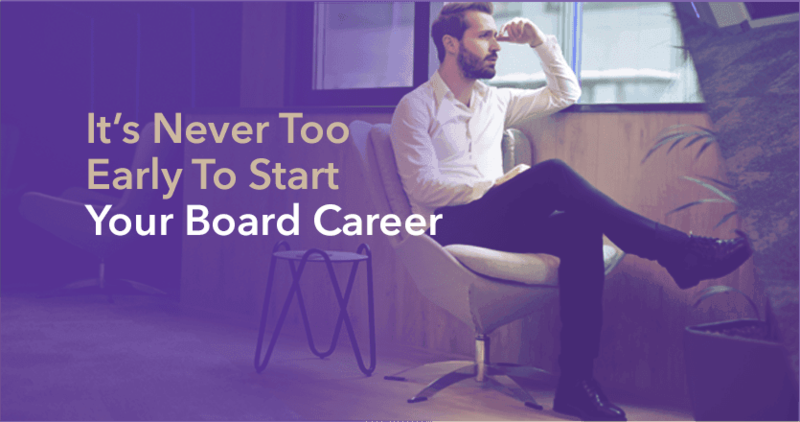 There’s no doubt that a board career can enhance your professional life and give you a leg up. Whether you choose to associate with a Not-For-Profit organisation, join an early stage high potential company advisory board or a private corporation board, serving on a board gives you unlimited opportunities for growth and builds your unique brand. The average age of directors at Fortune 500 companies is around 62, but the makeup of board members is changing significantly, so that should not stop you from getting an early start for a board position if you want to succeed. So, a position has recently opened up for a board director at a company you have been eyeing, or the board has approached you directly. While you may be inclined to jump at this amazing opportunity, you need to do some thorough research to fully understand how your area of expertise will complement the board, and whether you will be a good fit. Since you may expect to serve between two to five years, it is vital for potential recruits to assess why they would like to serve on a particular board, and if their long term goals are well-aligned with the position they are applying to. Having frank discussions with other members of the board will allow you to fully grasp the kind of impact you will make, if you can genuinely add value to the board and what your immediate network will be like. To get the advantage early on, broaden your expertise in high-demand skills, while gradually raising your professional profile among crucial networks that span both the organisation and your relevant industry. If you are chosen to serve on a board, that means the company is putting their faith in you as a true expert and leading professional. Participating in decision-making at committees and regular meetings will give you greater visibility and provide a chance for you to make a difference first-hand. Defining achievements like resolving conflict between senior staff or giving inputs for a plan of action during an emergency, will bring you to the fore and showcase your capabilities. As per a survey undertaken by Women Corporate Directors (WCD) 78% of board members do not have to search for their first board role; majority of candidates are called for an interview and having a strong professional network is crucial for this very purpose. Joining the board of a strong organisation gives you the extended opportunity to rub shoulders with elite professionals in the industry and the government. Ranging from a variety of staff members, to clients and partners, being a board member involves making trusted connections with individuals who share common objectives. These relationships take some time and require you to go out of your way to understand others’ perspectives and make plans that go beyond the boardroom. Being part of a trusted board will allow you to develop a range of professional strengths, that will in turn speed up your career growth. One of the skills you will learn to master day-by-day is the ability to work together and narrow down on solutions that cut across different functional areas of expertise, that might be less familiar to you. Depending on your background, you may choose to contribute more to leading the everyday functioning of an organisation or its broader future goals. Board members typically provide valuable inputs on aspects like program funding, policy making, market decisions, performance assessments, and preserving the financial health of the organisation as a whole. If you have specialised in one particular field like operations, business administration or engineering, this is the perfect medium to gain exposure in contrasting subject areas and learn from others.